It’s never too late to start—and there’s always more to learn. The reminders are everywhere. This sport of ours is one for the ages—all ages that is. 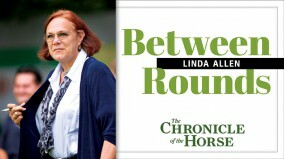 As this issue of the Chronicle celebrates youth, I’d like to remind our junior riders just what a long future they could have as a jumping rider. I saw an example of this at a recent clinic hosted by Craig Allen and the Gobles, of Icon Sporthorses in Friendsville, Tenn. The whole gamut of riders of all ages participated. Eleven-year-olds (who had already been riding since the age of 5) rode alongside one rider who had taken up the sport somewhere around the age of 50. With the right equine partner, sensible coaching and common-sense safety precautions, most any age individual can have fun with our sport. I enjoyed everything about my weekend at this most beautiful—and exquisitely maintained—facility. Riders young and older work hands-on with their horses at Icon. Whether it was bathing the pesky white one for an 8 a.m. session, painting feet or knowing the importance of being on for some walk time before your group begins, these riders were obviously familiar with more than the view between their horses’ ears. Some of the riders came from quite a distance, and it was clear education was everyone’s goal. Many were staying at Icon for three consecutive weekends of clinics: my clinic, followed by Melanie Taylor with the U.S. Hunter Jumper Association’s Emerging Athletes Program, and concluding with a Greg Best clinic. These riders compete, but they also saw an opportunity to expand their knowledge in a significant way and took advantage of it. Another refreshing part of the Tennessee experience was seeing how many of the parents were active participants in their children’s passion. I especially enjoyed chatting at lunch with families such as the Andersons: non-horsey parents with two horse-crazy kids. Both Hallie and Clayton have very nice horses, ride really well and do all their own work with their horses who live near their home. They earn money for shows and extras by taking care of other horses nearby. I’d bet money on these youngsters going as far as they want to go in this sport with the maturity and well-rounded foundation they’re developing. Only down the road will they gain a full appreciation for the gifts their parents are giving them by providing opportunity while instilling a sense of responsibility at the same time. Yet, for youngsters without the chance to pursue their dream of a life with horses, all may not be lost. In my travels I meet so many people who only in their middle years find it possible to ride or be around horses. Pursuit of an Olympic dream doesn’t have to begin at the age of 5, or even 12; witness Michael Matz who didn’t begin riding until his later teens and went on to an Olympic medal. For those beginning later in life, today’s shows offer plenty of chances to get in the ring for all ages. Many mature riders just enjoy the chance to slow down, be outdoors and in the company of a sympathetic companion as a break from their everyday stresses. It’s hard to think of another active sport with so little in the way of age discrimination. While some classes for junior and amateur riders are divided by age, open classes are truly open to all comers. International rules restrict the age at which a junior may begin participating in the highest levels, but our own national rules don’t. Start early enough and have the right horses along the way, and even a pre-teen can be seen in grand prix events. The same competition might well have others in their 50s or 60s competing. In fact a significant number of our top riders are well into their 40s and 50s. While the horse isn’t everything in this sport, it certainly becomes the equalizing factor when riders come in such disparate ages, levels of experience and physical attributes. For the youngest riders, quick reflexes, the ability to “bounce,” and an intrepid nature (sometimes resulting from a lack of personal knowledge of potential consequences) permits them to tackle the toughest tracks—and come back for more if experience happens to be gained the hard way that day. If the horse has the experience, skill, and rises to the rider’s level of bravado, great things can happen. The danger here is that progress can come to a halt if a handful of ribbons is taken to signify that the rider knows it all. Occasionally a rider with great success at an early age finds the sport not so appealing when he encounters a spell with lesser horses and thus fewer blue ribbons. Some quit for good while others learn a bit later about striving and working but persevere and come out the other side. While the younger rider is merrily galloping into the ring on anything he can get his saddle on, the more maturity the rider gets, the more he realizes that suitable horses are the key to success in this sport. Whether it’s the older amateur finding and keeping the tried and true cam-paigner, or the international star skipping a big championship when he knows his current mount is not ready to be competitive at that level, experience trumps all. The fact that the properly selected and schooled jumping horse does 99 percent of the “heavy lifting” in this sport makes it possible for men and women to compete on equal footing regardless of their size, shape and age. Today’s kids should keep in mind that unless injury or loss of interest or opportunity intervenes, their competitive careers can not only go on for many decades, but they can also continue to improve year by year if they put their minds to it. Currently a few top international riders are competing with success into their 60s. Hugo Simon (69) and Thomas Frühmann (60), both World Cup Final winners, represented Austria for many years and continue to ride now. Hugo, who won the first indoor final on Gladstone in 1979 and won two more times with his famous E.T. in 1996 and 1997, continues to make horses that take him to the grand prix level. French team member Michel Robert (63) was renowned for his beautiful soft and flowing style 40 years ago and continues to demonstrate classic equitation at the highest level as he remains in the top group of the FEI Ranking List year after year. Any of today’s youngsters could learn a thing or two from watching Michel’s classic and lasting style. 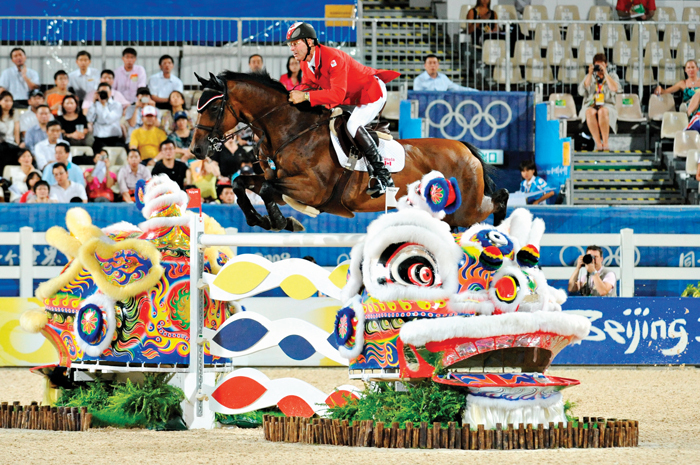 Closer to home, Ian Millar (64) remains a joy to watch as he continues a career that has included nine Olympic Games and back-to-back World Cup Final wins in 1988 and 1989. I’ll put my money on him representing Canada once again next year at the Games in London. Like the others, Ian never rested on his laurels. He clearly believes in the adage that as a rider you can never simply stay the same; you continue to work to learn and improve or you get complacent and lazy and watch your skills begin to atrophy. This is a sport where you can begin early and continue for decades. It’s also one where there is always more to learn. Attention to detail and a belief that subtleties of balance and position can and should always be improved by every rider are things that will take a rider far, no matter his age. If you enjoyed this article and would like to read more like it, consider subscribing. “Age Doesn’t Matter In Show Jumping” ran in the June 27, 2011, issue. Check out the table of contents to see what great stories are in the magazine this week.